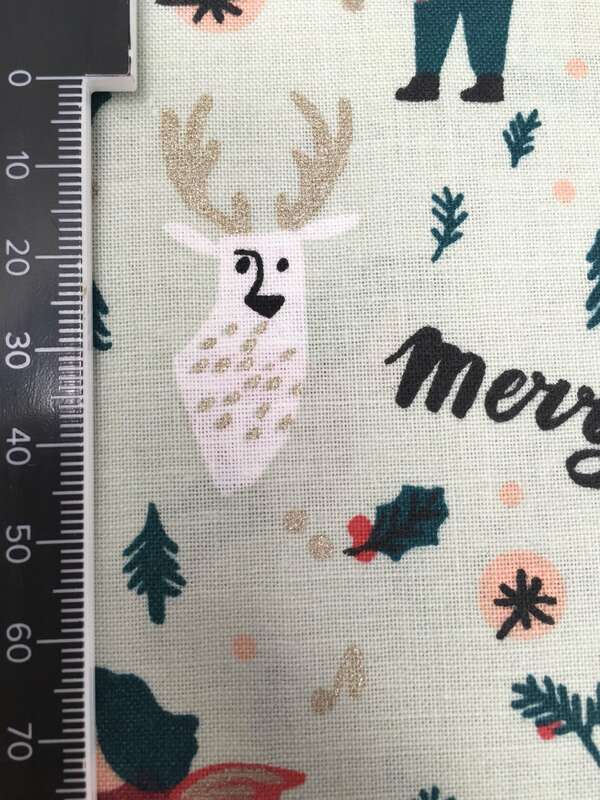 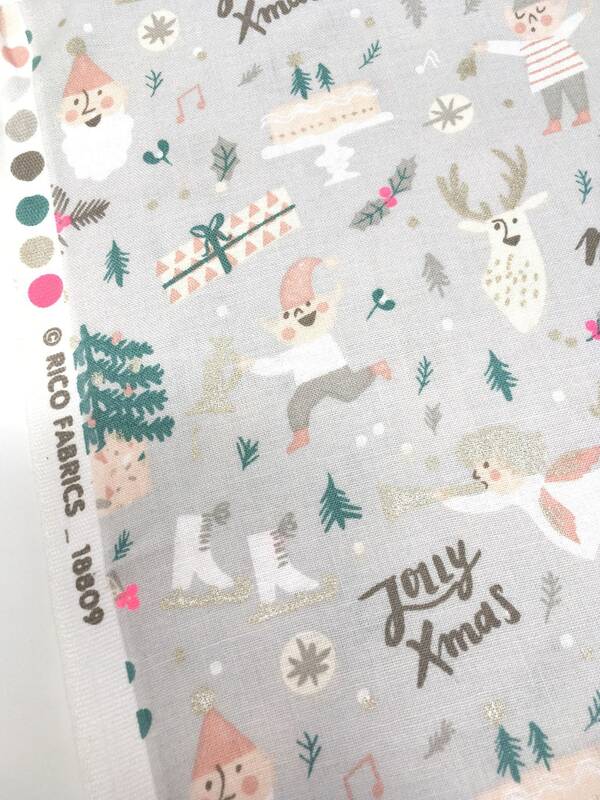 Rico design Jolly Christmas fabrics - pale grey, champagne gold and neon pink colourway. 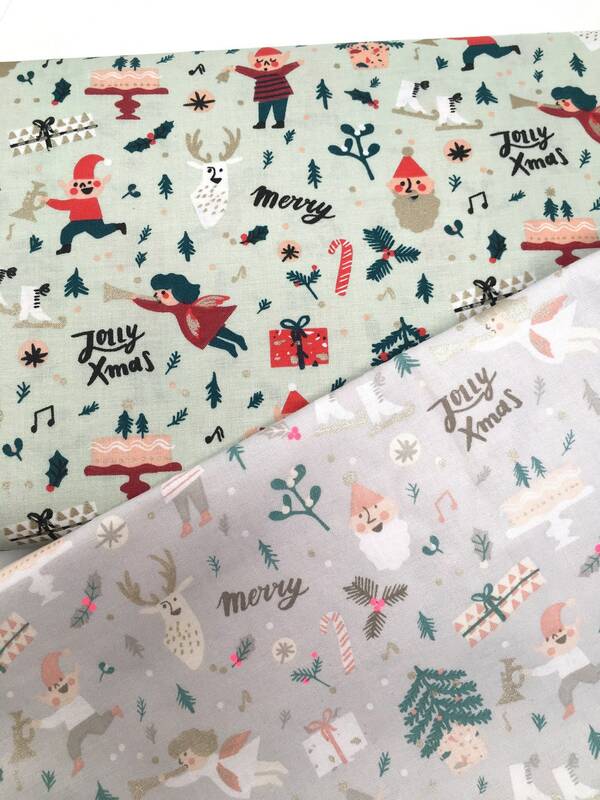 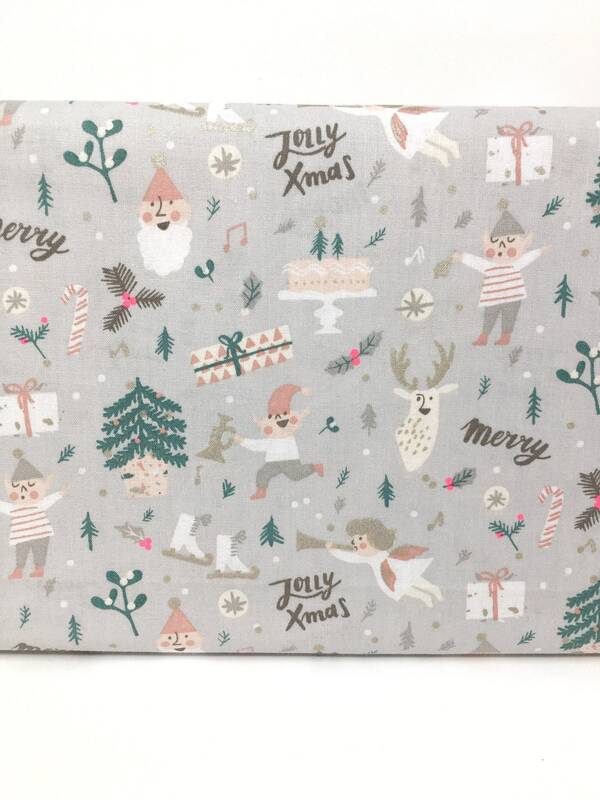 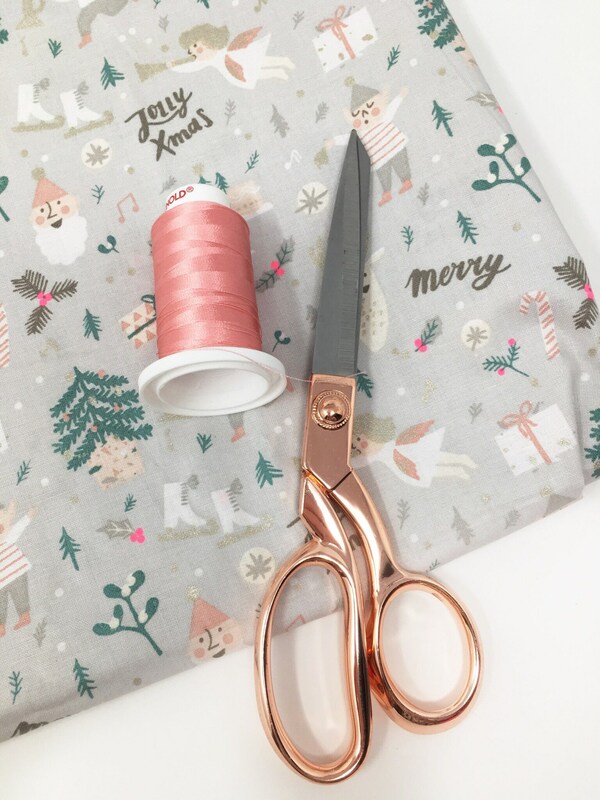 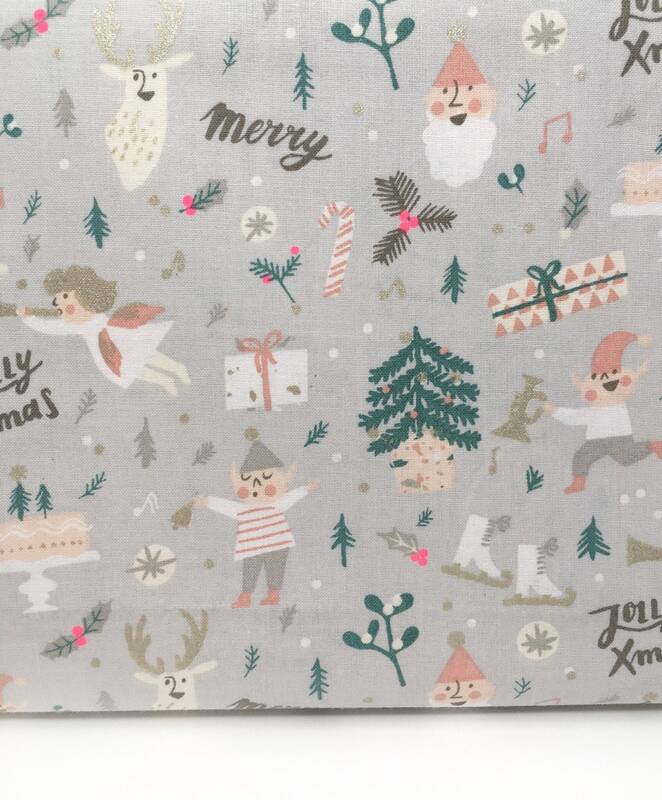 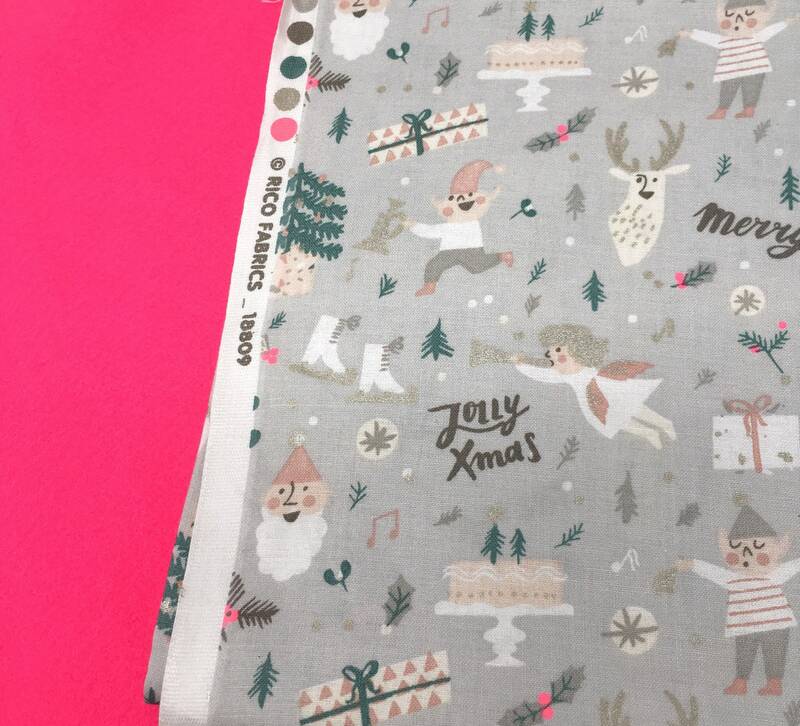 This stunning pastel Christmas fabric is just the thing to put you in a festive mood! 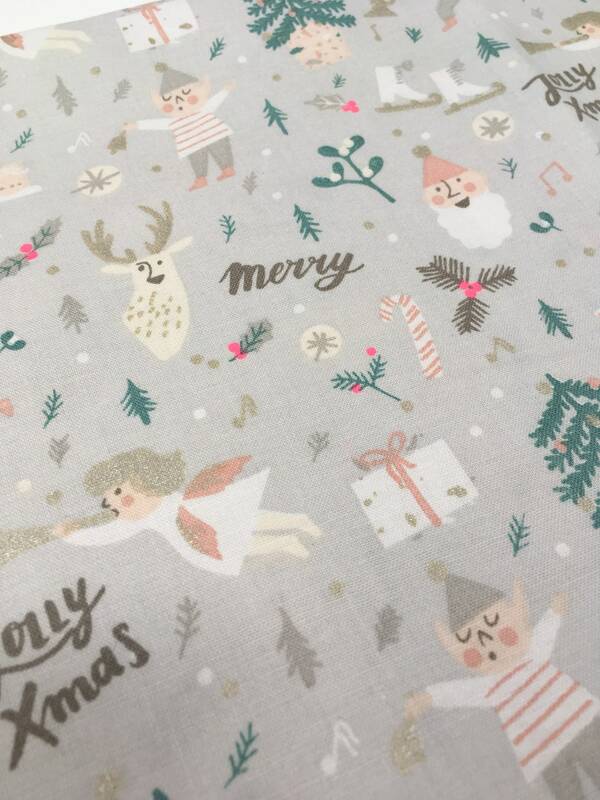 This atmospheric print include figures such as gnomes, angels and Santa Claus, as well as modern graphical patterns. 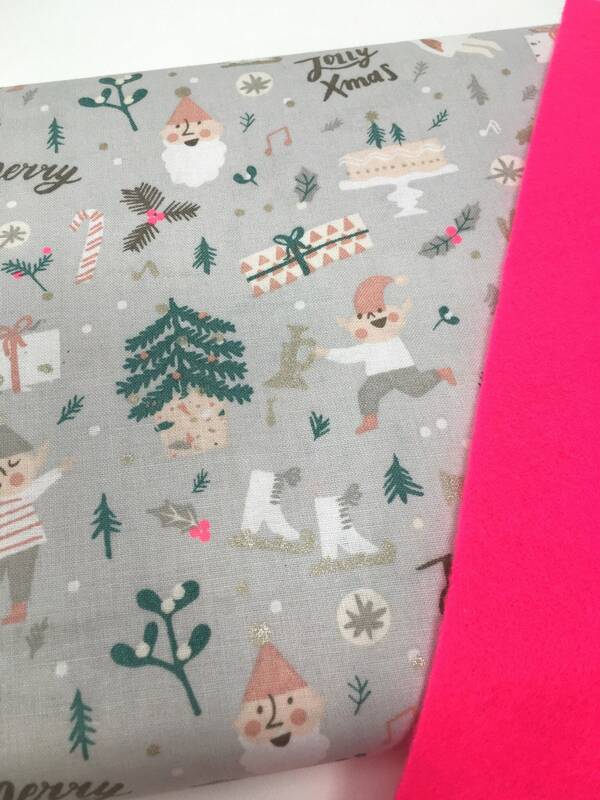 The base of the print is a pale grey with cream, sage green, neon pink and champagne gold accents. 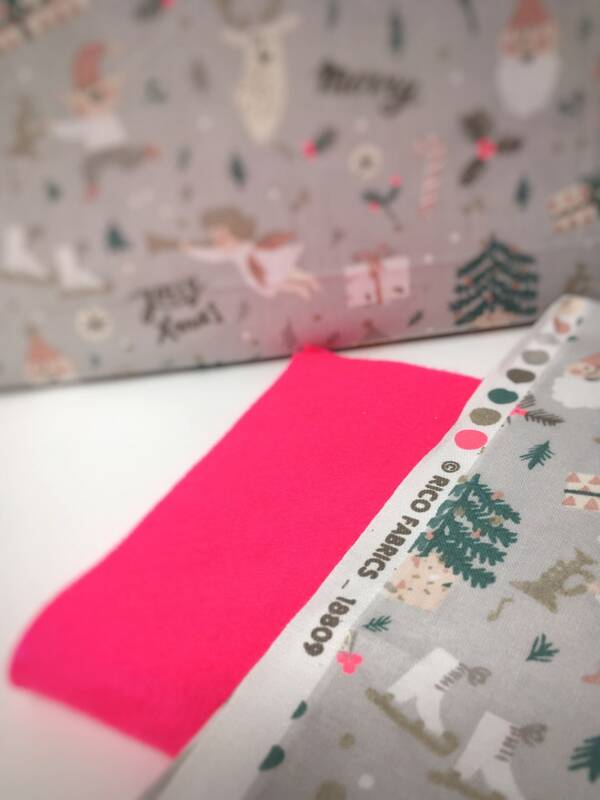 This fabric is 140cm wide and is 100% woven cotton with gold foil and neon pink details.